Can you help me with CSS? I need to change the header size, but I don't know how to do that. If I understand you correctly, you want to change the font size of Order, Song Title and ISRC Code. To change the size of these headers, on your form builder, open Widget Settings of your form element. 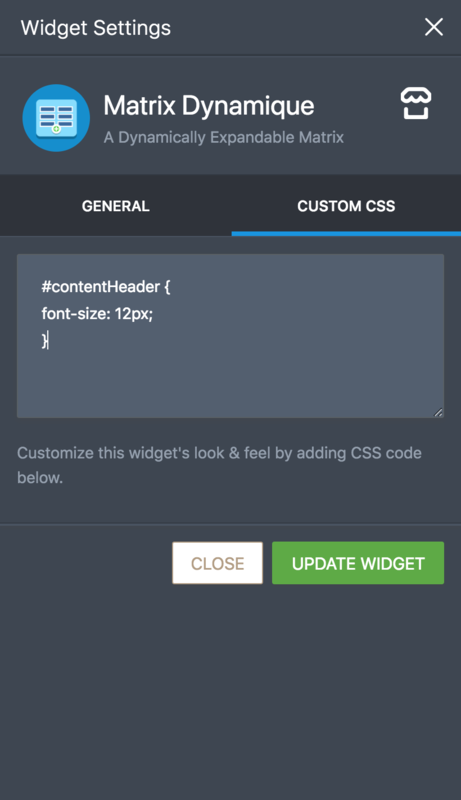 Under Custom CSS tab, add the following CSS code and click Update Widget. You can increase or decrease 12px to get the result you want.